YES! Ski Brule is open 9-4:00 April 27. Get out and play ! Lift tickets are$25! Ski Brule, is a premier ski resort in Upper Peninsula of Michigan. The#1 Midwest Ski Resort is located just over the Wisconsin Michigan boarder. Ski Brule is perfect for a day trip or a weekend get-a-way. Winter activities for everyone: ski, snowboard, terrain parks, tubing, acrobag, fat bike trails, cross country trails, snowshoe trails, sleigh rides, kids programs and more! Ski Brule has kept founder George’s promise of “quality family fun at an affordable price” for over 60 years. Ski Brule is also the friendliest, most outdoing, helpful resort anywhere with a variety of of activities for families with mixed interests. You have many recreational options, we invite you to spend it with your Ski Brule Family. Start creating lifetime memories! What sets Ski Brule apart from other ski areas? It starts with snow. Ski Brule knows how to manage snow better than anywhere else which results in amazing conditions. Don’t worry about what it looks like in your backyard, you can always count on Ski Brule for fantastic conditions. Ski Brule has opened as early as October 24 and has been open as late as May 15. Six months of snowsports is a reality at Ski Brule. Plan your getaway at your favorite Michigan ski resort and experience why Ski Brule is the #1 Snowboard & Ski Resort in the Midwest. 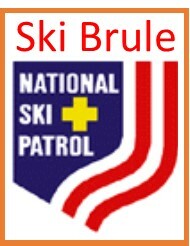 Ski Brule is proud to deliver affordable, family fun with the best guest service anywhere! “Flying though the air is a glorious feeling. Returning to tera firma, your skis thudding on the snow, breaks apart the reverie as you refocus on what lies ahead; a river of while to navigate and conquer. As you slalom down the course, you avoid some obstacles, but others, like moguls, you take head-on and at full speed, recapturing the sensation of flying. At the end of the trail, you sweep to a stop, a spray of snow behind you, and celebrate your victory over the mountain. A more apt metaphor for life has never been more clearly expressed.” Peter Soderberg. Ski Brule made Peter’s 90th birthday wish come true … he wanted one more ride down Brule Mountain … Happy 90th birthday Peter! Located in Iron River, Michigan in the beautiful Upper Peninsula. Still Playing In The Snow!